I still have not finished my first full year of fly fishing. I am learning. But, I expect to be great. For no other reason than my ever growing ego. 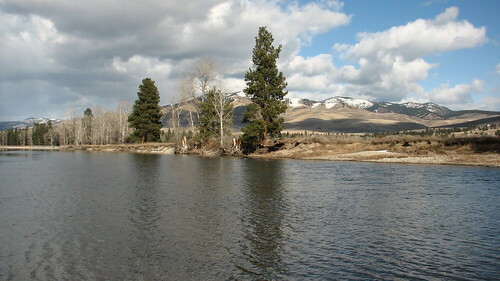 So, when I went fishing this weekend on the Bitterroot, downstream of the Florence Bridge, and I caught a 12'' whitefish on my second cast. I expected to have my first truly productive day of fishing. I have fished this reach four or five times this year and I have yet to catch a trout. Prior to that day, I had caught two whitefish. Total. That's right, two fish during five trips. 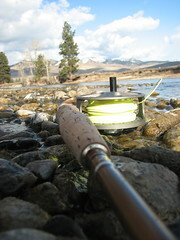 My fishing production is akin to the snowpack of the Clark Fork and Bitterroot drainages, pitiful. Now, in my defense, I am learning how to fish, cast, and think at the same time. A monumental task for those who know me. 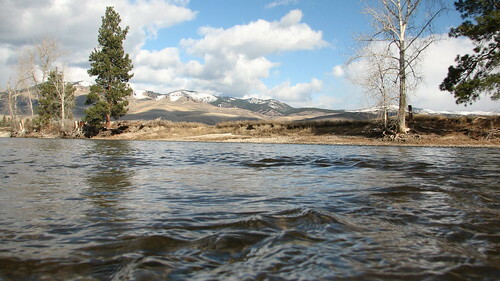 Fishing the Bitterroot in winter is primarily subsurface, especially nymphing, as a trout's metabolism slows down with drops in water temperature. Needless to say, when I netted the tiny whitefish on my second cast, I thought my perfect storm of fly fishing was upon me. I thought I had finally put together everything I had learned about line management, nymphing, stacking, and the like. I was sorely mistaken. Nothing for the rest of the day. I fished that section hard. Changing flies. Changing tactics. Changing tippet length. But, save for a couple of nibbles here and there. Nothing. It was a beautiful day though. Maybe next time.